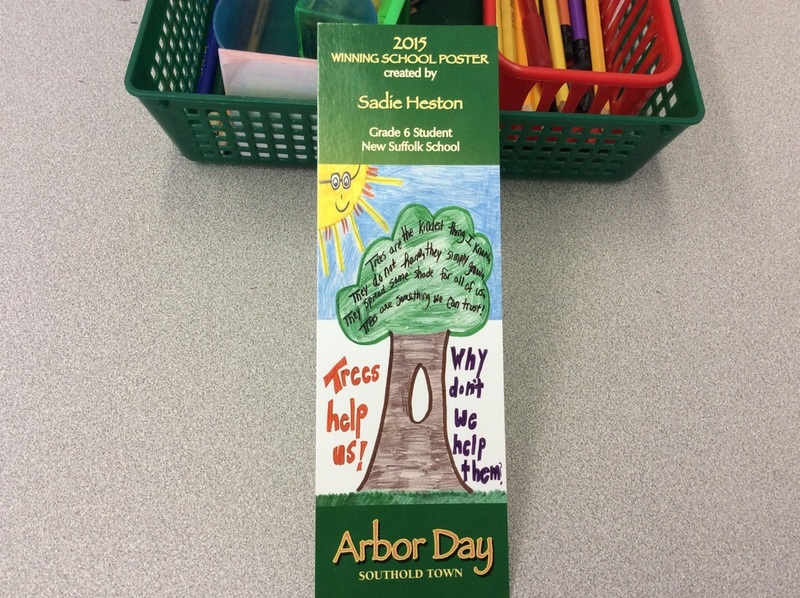 We are thoroughly excited to announce that one of our sixth grade students, Sadie Heston, has won the Southold Town Tree Committee's Earth Day Poster contest! Her poster was chosen out of all Southold Town elementary schools to be featured on this year's bookmark. Along with that honor, Sadie was also given a beautiful tree, a Thundercloud Plum, to be planted in front of our school! Everyone had the opportunity to get their hands dirty! Thank you so much Tree Committee!